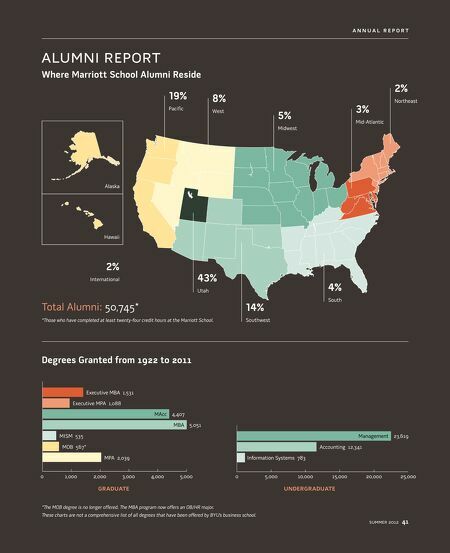 annual report alumni report Where Marriott School Alumni Reside 19% Pacific 8% West 5% Midwest 3% Mid-Atlantic 2% Northeast 43% Utah 14% Southwest 4% South Total Alumni: 50,745* *Those who have completed at least twenty-four credit hours at the Marriott School. Degrees Granted from 1922 to 2011 Graduate: Executive MBA 1,531 Executive MPA 1,088 MAcc 4,407 MBA 5,051 MISM 535 MOB 567* MPA 2,039 *The MOB degree is no longer offered. The MBA program now offers an OB/HR major. 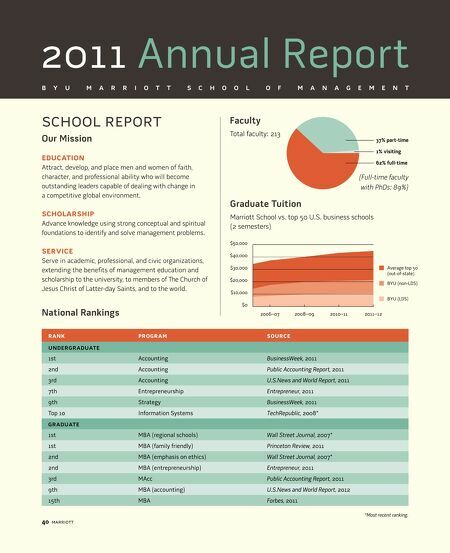 Undergraduate: Management 23,619 Accounting 12,341 Information Systems 783 These charts are not a comprehensive list of all degrees that have been offered by BYU's business school.